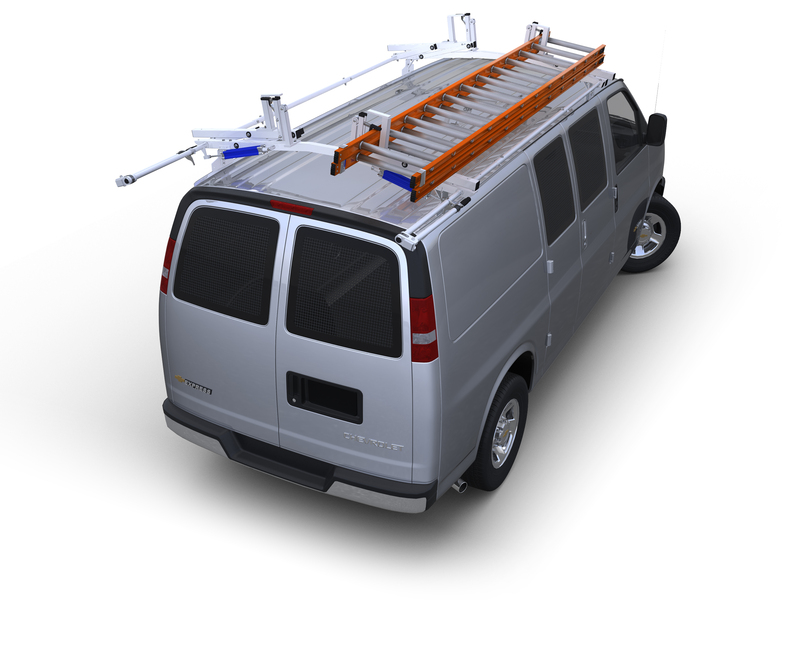 These 12" wide Aluminum Storage Units mount directly to the floor of your vehicle taking up minimum floor space when installed in either the side or rear doors of your van leaving ample room to enter the vehicle. Cabinets are 40" deep and can be placed almost anywhere in your van. These 12" wide Aluminum Storage Units mount directly to the floor of your vehicle taking up minimum floor space when installed in either the side or rear doors of your van leaving ample room to enter the vehicle. Cabinets are 40" deep and can be placed almost anywhere in your van. When positioned in front of your driver’s side shelving units, you’ll have side door access to your unit without entering the van. Top shelf with 3" lip is the perfect place to store big and bulky items. These fully welded units are constructed of industrial grade 3003-H14, .063 and .125 aluminum. Bearing assisted slide arms prevent these 40" deep drawers from dipping when open and support an individual drawer capacity of 60 pounds, evenly distributed. Each 12" wide drawer can be divided into nine 101∕8"W x 4"D x 4 3∕8"H compartments using 8 dividers (5 included per drawer). Available in two, three and four stacked drawer models.